I had a great stay at Mamba. I stayed on my first night in Rwanda and it was a great way to start. The taxis from the airport knew where it was and I arrived very late (around 1am) but there's night security who let me in and the man working on reception, who was lovely, was up to show me to my room. It has a fun vibe with people hanging out, playing pool, playing at the bowling alley (! ), and on the Friday evening (and I guess Saturday too) there was a DJ until 10 pm which was fun too. Thanks! 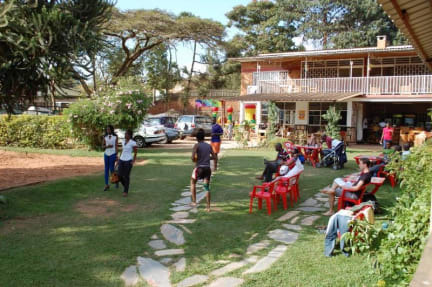 Mamba Youth Hostel is a pure heaven is a real heaven in the heart of Kigali, very close to main places and attractions of the city with a very helpful staff. Desire was particularly friendly. 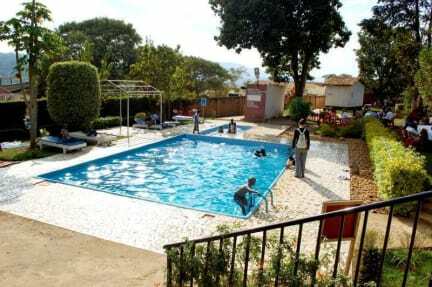 The hostel is clean beds are comfortable with good facilities and reasonable breakfast include. Dizi thank you very much for a nice stay. To say the UK owner John is doing great is an understatement. He goes way out of his way to help you and make sure you are getting your needs taken care of. On my way out to the airport, I didn’t have enough shillings to pay for the taxi unless I hit the ATM. Without hesitation he reached in his pocket and payed the taxi. My only issue was a a Tourist guide ( Adolf ) who made a deal with me at the bar and after tour he tryed to hustle me. HE HAS NOTHING TO DO WITH MAMBA. This hostel is great. I had a private room, and the price was just perfect. The hostel is close to the convention center, but also a lot of cute cafes and other places to walk around. The staff really went out of their way to help me with taxis, tables to work, and bringing an electrician when the light blew out in my room. The food is great and very reasonably priced! Depending on the day and the hour, there was some music playing. So definitely be prepared for that. I would stay here again. Desi works extremely hard and is a great person to run this hostel. I think the ladies behind the bar though could smile a bit more and make you feel more welcomed. The hostel is relaxed on weekdays and turns into a club on the weekends. Staff were helpful, but often really hard to get hold off. It took us 5 attempts to find someone to pay for our nights. Mamba was amazing. What made the experience so great was how amazing the staff is. The owner John is super friendly, and his manager Desiree was so incredibly accommodating and helpful. Would definitely recommend. Whilst the staff were all frIendly they were unhelpful and inefficient when we needed things. Would not recommend this place, nor come back. The clue is in name, it's a Club. If you want to try to sleep in a dirty night club this is the place for you. When we arrived there was a large party going on, with the dorms directly above it. The music didn't stay on until too late, but it was still noisy. We were told the parties are monthly, but actually they're every night. The food we had made my partner and me sick. The bathroom had a different species of insect in there each day, and was not cleaned at all during our stay.